France and England have many similarities in terms of their polity, economy, welfare systems, and as former colonial powers with sizeable immigrant populations. Yet there are important differences between them which are manifested in their education systems. Social equality in education is used here to frame this difference and the distinctive ideological legacy at the heart of both systems i.e. republicanism in France and liberalism in England, is key to understanding this. The period between 1789 and 1939 is selected as the optimum time-period for demonstrating this variation. 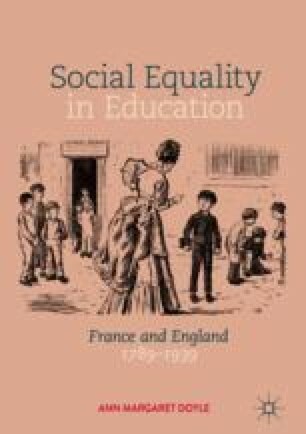 A comparative methodology is used to explain the variation between both education systems and three explanatory factors are identified: persistence of ideology, social class alliances, and, the nature of the state.